Does Drinking Coffee After a Meal Help Digestion? If you are anything like me, then you will like nothing better after your lunch or evening meal than to drink a cup of coffee. It is a very satisfying combination. But does drinking coffee after a meal help or hinder digestion? Is Coffee Good Or Bad For The Digestion System? Coffee is both good and bad for your digestion. On the good side, it can relieve constipation. So, when you feel blocked up a cup of coffee will help move things along. It also helps reduce the amount of sugar your body absorbs. The antioxidants in coffee stop your blood absorbing sugar. If true, it may be good for diabetes and weight loss. On the bad side, coffee can make you dehydrated, meaning you’ll feel thirsty. The caffeine makes your heart beat faster. The blood flow to your kidneys goes crazy, using more liquid, making you go to the toilet more often. Make sure to drink plenty water. Coffee is also linked to heartburn and indigestion. Coffee isn’t usually the cause, but it makes these conditions much worse. How Long Does It Take Coffee to Digest? Your body digests most of the caffeine in 45 minutes. People absorb caffeine in one of three different ways. Some are hypersensitive. 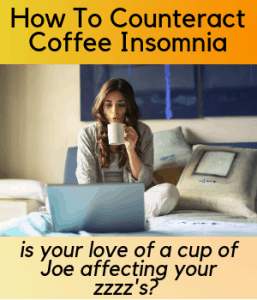 They react to tiny portions of caffeine and are more likely to get insomnia. Others can drink a cup or two of coffee in the morning and be fine in the evening. Finally, some process caffeine extremely quickly. Even large doses don’t seem to stop them having a good night’s sleep. It might sound nuts, but it takes three weeks for a cup of black coffee to be completely processed by your body. The most important stuff goes through your digestive system in a few hours. But, the water in the coffee stays in the blood for days or even weeks. A tiny amount of caffeine will linger in your system for a few days. Coffee after a meal can help smooth digestion. It’s a laxative that speeds up the digestive process. It makes your body work harder to move the food from one end to the other. The caffeine activates digestive muscles, helping you go to the toilet. It helps you stay regular. Be careful if you’ve got constipation though. It could make things worse. If you’re all bunged up, it’s best to stop drinking coffee. Or at least cut down. Coffee can also act as an appetite suppressant, meaning it makes you less hungry. So, a cup of the black stuff will help you keep to that diet! Coffee might cause digestive problems. It might prevent your body absorbing important minerals, like iron and calcium. It reduces the amount of nutrients that your body takes in by up to 80%! It will make your healthy diet less effective! Coffee contains acid. The acid can damage the lining of your stomach. If you drink a lot of coffee, it might make any stomach conditions worse. It can lead to stomach ulcers and other serious issues. Coffee is also linked to heartburn, indigestion and, worse of all, acid reflux. All these conditions can be painful, and the caffeine in coffee can make the pain even worse. It’s best to be careful if your a coffee lover and you have digestion issues. Black coffee is better than white coffee. Black coffee doesn’t have the sugars and fat contained in milk which can cause inflammation. Decaffeinated is better than caffeinated. Caffeine can make the stomach work overtime and make indigestion symptoms worse. And without the caffeine, coffee keeps most of its health benefits. Are you into probiotics? There are some new coffees on the market aimed at solving digestion issues. 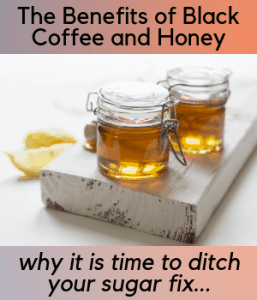 While fermented coffee isn’t probiotic, it doesn’t have the bitterness of normal coffee. So, it could be less harsh on your gut. There are also some brands of low acid coffee designed to improve gut health. So, if you’ve got gut problems there are a few things you can try. Is Coffee Good For Your Bowels? Coffee gets your bowels moving. It makes the muscles in the colon work double-time. Coffee can also soften your poop,, making it easier to finish on the toilet. Be careful with dairy products and sugar. They can cause diarrhoea! We don’t want you running to the bathroom when you get to work! To help with bowel movements, it’s best to drink a normal cup of black coffee. The amount of coffee depends on your body and how it reacts to the caffeine. Coffee can make you dehydrated, so it could make constipation worse. But if you drink a cup or two a day, it shouldn’t be a problem. Will Coffee Make You Poop? So, you’ve had a cup of coffee and you suddenly need to rush to the bathroom. It happens. But why? Coffee does encourage bowel movements. It’s the caffeine in coffee that makes this happen, making your digestive muscles work harder. The acid in coffee can cause diarrhoea too. Coffee makes you gallbladder release bile into your gut, making you want to poop. The other ingredients you add to your coffee might also make it worse. Milk contains lactose, a type of sugar. Lactose can cause diarrhea and a ton of other uncomfortable problems in your belly. Lactose is also found in cream, cheese and half-and-half. Be careful drinking more than three cups a day! Especially, if you’re working on that project for work! Is Decaffeinated Coffee Better for Digestion? Drinking decaf is a better choice than your normal cup of Joe. But, decaf still has some of the same laxative effects – it makes you want to run to the bathroom. It still makes the gut muscles move, even without the extra caffeine kick. So, it won’t make your stomach go into overdrive. But you’ve still got to be careful drinking too much. Especially, if you want to avoid indigestion and diarrhea! It still has a similar acidic content to standard coffee. The acid content can worsen acid reflux, heartburn and many other gut problems. It also contains antioxidants and all the same good stuff as a standard cup. Other than the caffeine, a properly-made cup of decaf is pretty much like drinking a normal cup. Like with normal coffee, it’s best to limit the milk and sugar. And on that note, happy drinking!